How can paid search act ethically? Here are some ways paid search marketers can practice an ethical approach to digital marketing. The fundamental principle of the recent Facebook privacy uproar is the use of personal data to identify personalities and influence behaviour. Sound familiar? The most successful paid search campaigns are based upon data and insights into audience personas and behaviours, shaping every aspect of the campaign, from ad copy to ad scheduling and targeting. Similarly, with the core principle of digital marketing being to promote and sell a product or service online, marketers are using personal data more intensely than ever to meet their business objectives. So it’s no surprise that public perceptions and trust of marketing and the media is at an all-time low. 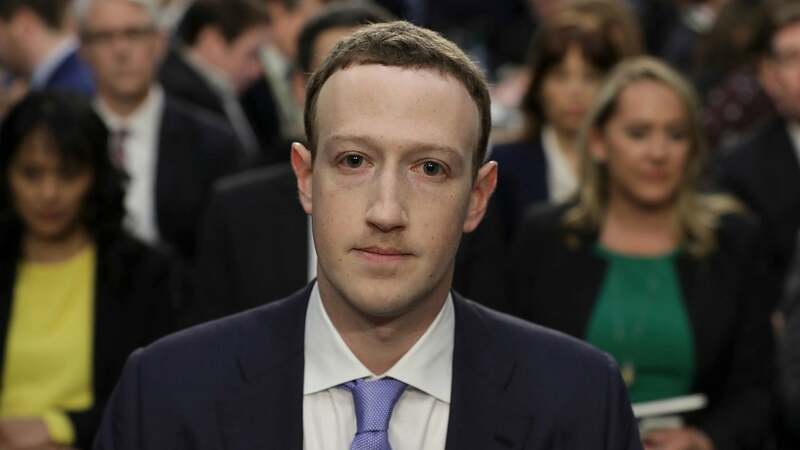 Zuckerberg testifying regarding the use of personal data by Facebook and Cambridge Analytica. However, it appears that there is still hope for paid search. Respondents to the 2017 Edelman Trust Barometer said that they favoured search engines over human editors by 59% to 41%. And with almost 60% of people not being able to recognise a paid ad from an organic in search results (Varn 2017), paid search has the opportunity to lead the way in marketing ethics. So how can paid search act ethically? Let’s explore some ways paid search marketers can practice an ethical approach to digital marketing. Paid search specialists will know the allure of casting out a wide targeting net to get engagement. However, improving the relevancy of a campaign’s targeting will ensure that the right people are seeing the right messages. Ensure your targeting includes age and gender, and if relevant look into targeting by location. This approach will most likely result in a reduction in impressions and clicks, but an improvement in the quality of traffic. Higher quality traffic is more likely to convert, due to the relevance of their demographics to the product or service. For example, why target a campaign to all age ranges if the product is only suitable for ages 18-24? Target the right audience for your product or service, rather than focusing on everyone. For users, this means they aren’t going to be exposed to brands and products that are of no interest to them. This reduces exposure to inappropriate, irritating ads and can even introduce them to new brands and products that they are yet to hear of. Ads then become a useful tool that they can benefit from, rather than an everyday annoyance. You want to improve your online conversions and notice a trend in consumers looking for festival wellies. Despite only selling pop-up tents, you decide to include the offer of wellington boots in your ad copy. You know you have a great range of tents for festivals, and feel that the audience will be interested in your products once they arrive on your site. Your promising ad copy draws in a huge volume of click-throughs, but once there, you can’t offer them what you said you would. The people looking to buy wellies are not changing their intent and purchasing a tent instead, so your bounce rate soars. This is not only a bad user experience, but it’s also a waste of your time and budget. You will pay for that click even if the individual does not take any actions that provide you value. So not only are you paying for a valueless click, but you are also frustrating the user. Be honest in your ad copy and ensure it accurately reflects the product or service you have to offer. A common complaint regarding display advertising is seeing the same messages from the same company over and over again. Cap your ad frequency so an individual isn’t seeing your ads countless times a day. Your preference can be for a number of viewable impressions during a day, a week or a month. In campaigns settings, open up the Ad Delivery section and select your frequency capping preference. This helps to ensure you are not overwhelming with your messaging, and it can also help your budget, as you can afford to reach more people. Take a moment to think how many times is too many for you to see an ad for your own product or service. Referred to as the most important data privacy regulation change in the past 20 years, GDPR (General Data Protection Regulation) comes into force on 25th May 2018. Changing the way that data can be captured, managed and used across the EU, GDPR will affect how and who organisations can communicate to. This will mean obtaining proper consent for data collection, and specifically in the case of paid search, ensuring that cookies used for remarketing are adequately outlined in privacy policies. Failure to comply with this and other data privacy policies could result in fines of up to €20 million or 4% of your global turnover, whichever is greater. If you are concerned about data protection and would like to ensure that your company is practicing ethically and legally, then take a read of our GDPR guide or book yourself a spot at one of our events. Search platform policies, algorithms and monitoring are helping to reduce unethical and illegal activity in paid search, but the responsibility begins with the marketer. An ethical marketer will be committed to not only meeting the obligations of their client or business, but will also ensure that they respect the needs and wants of the audience, as well as legal requirements. By ensuring that our actions are ethical, we can help to ensure the longevity of paid search as an effective and trusted media.